One of the most recent films to have been shot in Vienna is Mission: Impossible – Rogue Nation (2015) staring Tom Cruise as IMF agent Ethan Hunt. The other filming locations for this action movie included Marrakech, Morocco; Kuala Lumpur, Malaysia; and London, UK. In Vienna, the film was shot at the Schottenring underground station and Vienna's impressive State Opera. As the Opera is located on Vienna's most central square, this location is an ideal starting point for your Vienna sightseeing marathon. Within walking distance from here is the famous Hotel Sacher and Vienna's main shopping street. This street will be the starting point for several guided walking tours (Free with the Vienna Pass). From here, you can also catch one of the Hop On / Hop Off Busses by Vienna Sightseeing (also free with the Vienna Pass). The drama Woman in Gold (2015) is based on the true story of Maria Altmann (played by Helen Mirren). Altmann was a Jewish woman who had to flee to the USA after the Nazis had occupied Austria and her hometown Vienna in 1938. Roughly 50 years later, Maria returns to Vienna with young lawyer Randy (Ryan Reynolds). For more on this film, read my film review for Woman in Gold. For me, Woman in Gold was definitely the movie that inspired me most to book my first trip to Vienna. I just loved all those beautiful art nouveau buildings you see in the film. The film also made me curious to learn more about the Viennese artist Gustav Klimt and his famous paintings. If you like, you can embark on the same walk between two Belvedere art galleries (Upper and Lower) as the film stars do in Woman in Gold. 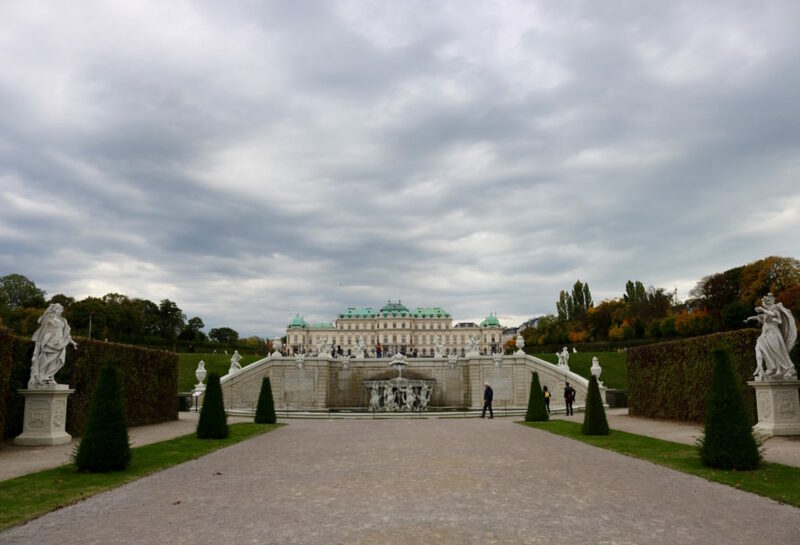 With the Vienna Pass, you will also have free entry to the two Belvedere art galleries. In the Upper Belvedere, you can then marvel at Klimt’s famous “Kiss”. Other museums that exhibit Klimt paintings include: Leopold Museum, Wien Museum Karlsplatz, Secession, Kunsthistorisches Museum (Art History Museum), the Burgtheater and MAK – Austrian Museum of Applied Arts/Contemporary Art. For more details of where to trace Gustav Klimt's artistic legacy in Vienna, check out this Klimt article by the Vienna Tourist Board. Other Vienna filming locations of Woman in Gold include: Vienna's Academy of Fine Arts, the Vienna State Opera, the Holocaust Memorial and Judenplatz, Vienna's City Hall, Hotel Sacher, Wiener Konzerthaus, the Giant Ferris Wheel, Felderstraße, St. Ulrichsplatz, Rooseveltplatz, Palais Auersperg, Semperdepot and Kaiserwiese. Now it's time for a typical Viennese coffee break. How about the Café Sperl? The coffee house, which still looks exactly the same as it did during the turn of the 19th to the 20th century, featured as a filming location in two Vienna‐based films – the romantic movie Before Sunrise (1995) and the Sigmund Freud film A Dangerous Method (2011). In Before Sunrise, an American guy called Jesse (Ethan Hawke) and a French girl called Céline (Julie Delpy) meet on the train from Budapest and decide to spontaneously get off in Vienna. Vienna is world‐famous for its Coffee House Culture and the Café Sperl is one of those traditional coffee houses that haven't changed a bit since the turn of the 19th to the 20th century. You could also try the famous Sachertorte here – a must‐do foodie experience when in Vienna. Other Vienna filming locations of Before Sunrise include: Kleines Café, Giant Ferries Wheel, Friedhof der Namenlosen, Maria am Gestade, Zollamtssteg Bridge and Maria Theresien Platz. A piece of Vienna's famous "Sachertorte"
Inspired by true events, A Dangerous Method tells the story of the Swiss psychiatrist and psychoanalyst Carl Jung (Michael Fassbender), who starts an affair with his patient Sabina Spielrein (Keira Knightley). A lot of the film is set at Küsnacht on the Zürichsee lakeshore in Switzerland (Jung's home and workplace). But there are also several occasions when Jung travels to Vienna to meet his friend and famous psychologist Sigmund Freud (Viggo Mortensen). Jung and Freud can be seen chatting about psychological matters at several Viennese locations – including Freud's real life home and workplace at Berggasse No. 19. With the Vienna Pass, you can visit Freud's former flat as well as several other homes of Vienna's famous former residents (such as Mozart or Beethoven) for free. You have to ring the doorbell to get into the home where Freud lived and practised from 1891 until 1938. I thought this was pretty unique as it really adds to the feeling that you're stepping back in time here and entering someone's home. You will then enter the home through the hallway, in which Jung parks his horse carriage in the film. And you can see a couch here. Although I'm not sure if it's "THE couch" as this is something the Sigmund Freud Museum in London (Freud's adopted home in exile) claims to have. Sigmund Freud's hallway featured as a film location in "A Dangerous Method"
The black‐and‐white classic The Third Man is set shortly after the end of World War 2 in 1949 – when the city of Vienna was about 90 % destroyed, occupied by four different allied forces – and quite chaotic. The film centres on Holly Martins (Joseph Cotten), an American who is given a job in Vienna by his friend Harry Lime (Orson Welles). But when Holly arrives in Vienna he learns that Lime has died. Holly then goes on to investigate what appears to be a suspicious death. In 1999, The Third Man was named "the greatest British film of all time" by the British Film Institute. However, in 2017, Time Out magazine named the Vienna‐set classic the second best British film ever. No matter if it's best or second best: in Vienna, The Third Man nostalgia is still pretty much alive and kicking – even after 68 years! The film is still shown several times a week in selected Vienna cinemas and there is even a whole museum dedicated to The Third Man. 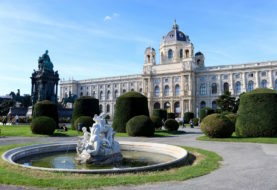 Plus, you can retrace all of the film's iconic Vienna filming locations in a special film location walking tour. With the Vienna Pass, you can also take a free ride on the Giant Ferries Wheel. The Wheel at the "Prater" amusement fair is one of Vienna's most popular sightseeing attractions. The Pillars of the Earth, a British TV mini series based on Ken Follett's novel of the same name, tells the stories about the power struggles during the long‐term construction of a medieval cathedral in 12th century England. Set in the fictional English town of Kingsbridge, much of the filming took place in and around Budapest, Hungary. However, some scenes were also shot at Vienna's lesser known Votive Church (or Votivkirche in German). It's free to enter this beautiful church, which is actually not very old at all. Built from 1856 to 1879, it was designed in the neo‐Gothic style as a means to thank god after Austria's Emperor Franz Joseph had survived an assassination attempt in 1853. 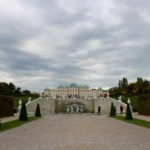 Disclosure: This blog post includes affiliate links to GetYourGuide.com and the Vienna Pass. If you click on any of these links and make a booking through this link, I will receive a small affiliate fee, which I will use towards running my website.